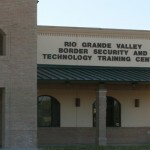 The Rio Grande Valley Border Security and Training Center is a first-class facility ready to host your next event. The Conference Center offers versatile meeting space, giving meeting planners a great venue for all types of events and multiple day conferences. Our two new computer labs are ready to hold your next technology training class. Each can seat up to 24 students. 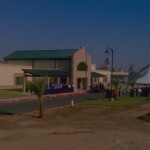 The grand opening was celebrated Saturday morning in honor of 9/11 victims. The 20,000 square foot center will be used for classes and training. It will also serve as a communications command center in case of any emergency. South Texas College will offer first responder training at the center, and the Lower Rio Grande development council will hold its police academy there as well. A large room with all the amenities. The main conference room seats 50 and can be set up differently to suit the needs of your event.